T-Mobile is set to unveil how its final quarter of 2013 went. With generous discounts to its up-pricing on many high end phones, and reducing many to $0 down over the holidays, it will be interesting to see exactly how good the final quarter was. Of course, we already got a snippet of the information from John Legere at the T-Mobile press event at CES in January. 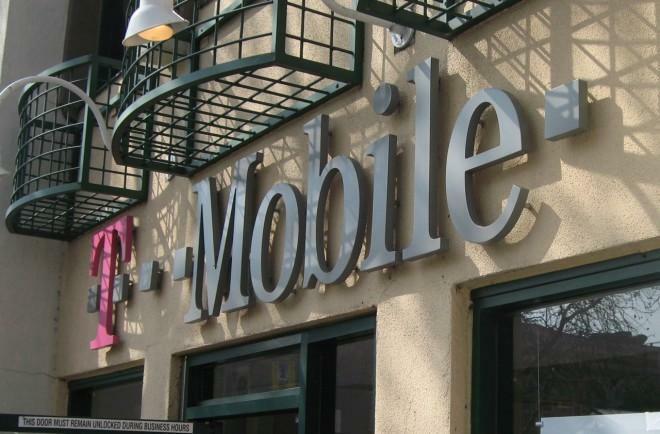 It was – in terms of subscriber additions – a record quarter for the magenta-flavored carrier. To listen in on the call head over to http://investor.t-mobile.com/ at around 8:50am Eastern time, ready for a 9am start. We’re also expecting a press release to go live around 7am Eastern. Spoiler: T-Mobile added 1.6 million net customers, their biggest quarter ever. And a net loss of 20 million dollars. There are times when spending money is required to make a turn around. T-Mobile is doing just that and they are increasing revenue. This the shot in the arm that hurts right now but will benefit later. I don’t see a shot on the arm being beneficial at all. I rather not get shot. But I get your point. The revenue on the coming quarters should offset this minimal loss. to see how many adds then. Positive earnings. Big money big money no whammies lol. No mention of any lte expansion. I tried to edit my response but couldn’t. I’m really excited that this 250mil will be all AWS LTE! So all TMO phones will be compatible with this coverage! Slide 9 has its own graphic just for you, Max! 250m in 2014. It says it twice. Tmobile has a (recent) history of exceeding expectations so we may see even higher numbers. They seem to be moving lot faster than expected with metro PCS integration. It says 250+ so they may go beyond that number. If that’s what they can do with AWS, I’m sure the 700A rollout will be even more impressive. Some of it will be 700A, since that will begin around September or so probably. New LTE sightings are still showing up here and there. Would be nice to hear an update on the 700mhz issue! Something, anything??? They have been updating lte in my area. I been noticing more and more areas that did not have it , will all of a sudden have it. I am not hoping once 700 goes live that they will upgrade the blanking tower on The Military base I work. It seems the top 4 all have 3g or lower on base! its bull crap. Can Buntom seems to be a one man show on tmonews. Not that it’s a bad thing but it was what David was doing. Nothing to do with this post, just an observation. Actually it has a lot to do with this post. He posted something very early in the morning about results. It is now SIX HOURS since the press release and FOUR HOURS since the call. WHile other websites have the quarterly results up, it is really unbelievable that the one website devoted to Tmobile news can’t post this story FIRST. The previous editor would have. We kept being told PhoneDog has a lot of people in a lot of countries, and people in the US who actually use T-mobile. How can you be the go-to source for Tmobile news if you can’t even post the quarterly results of a publicly traded company in a timely manner. The truth is many journalism companies would fire someone for that. I posted this early because I knew I wasn’t going to be around for the call. I was catching a flight home. I grabbed it as soon as I got back in the house. I look forward to Q1 results to see how much closer they are to taking Sprints #3 spot! Where is 250m covered with LTE mentioned? And yes, I did click on the link. . . Page 9 talks about 209M POPs with 250M+ targeted for 2014. Thank you. 700mhz covers 70% of Tmos current customer base, that isn’t too bad! Show some 700 deployment in Ct please! Not sure how you are calculating that 70%, Jay. The A block license footprint covers just over half of the entire population and probably less than 60% of TM’s current nationwide footprint. The 250m LTE target for 2014 will be reached using AWS and A block spectrum. Right now, they are still waiting for FCC approval of the deal, so there won’t be any deployment in the short term. Thanks, I’ve quoted that slide a couple of times myself, but didn’t pay attention to the bottom section until now. To be honest, I still think that bullet point is something of a puzzle. Why? Well, if you work out what that is 70% of, you have to conclude they are saying the 158m POPs covered by the license are 70% of the 225m that was their 3G/HSPA+/LTE footprint last year. But that footprint has enlarged to 229m in recent months. Since the A block license footprint doesn’t coincide exactly with the CMAs in which they have already deployed 3G/HSPA+, it’s hard to say what 70% really signifies. They are projecting LTE growth of another 41m beyond their latest claimed coverage, so we have to assume that it is going to be enabled in part by 700MHz licenses covering areas where they don’t currently deploy more than 2G-only service. Mike Sievert (CFO, T-Mobile) officially said that T-Mobile will upgrade EDGE to LTE (250 million POPS, maybe more) this year. If its almost 1pm Eastern Time, why isn’t any of the information posted here? Press release at 7am, conference call at 9am? Even the time difference isn’t an excuse here. The story should be updated if you want people to come to this site first for Tmobile news. Other sites from tech sites like CNET to business sites already have it up. Headlines say there was a $20 million loss in the 4th quarter as the cost of getting new customers is hurting the bottom line. Still on track , More users = Better long term out look. We have low band spectrum that will soon be deployed and new users gotten from then on will most likely not leave in those major markets. Well guys I just came across a article stating Dish transferred its sats to its parent company and is basically setting itself up for a merger with Directv. I presume we wont be seeing them make a move for tmobile for a while. Also the 700mhz will help on keeping users once its up and running. I bet tmobile will be putting as much as it can to get it deployed even faster then LTE. But Im sure there will be those but but I don’t have coverage at my cabin! boo hoo!